I was gratified to read not long ago that Nissan Motors has launched a lively new advertising campaign that’s guaranteed to catch everyone’s attention – providing everyone is watching “The Matrix Revolutions” in their favorite neighborhood theater during the next few weeks. The actors pop up while a commercial bearing the Nissan Altima logo is being shown on the screen, then they begin belting out bits of intriguing doggerel reminiscent of what one might encounter during a spontaneous poetry slam. Hey, if this doesn’t liven up the seemingly endless series of “Matrix” flicks (coming soon: “Matrix Regurgitated”), nothing will. Unfortunately, this brave new world of advertising is being limited to movie theaters during the screening of just one film. Think about it, amigos – if this works to sell cars in theaters, it’s gotta work great just about anywhere. All you need are actors, free verse and a place to convince – or frighten – the passing consumer into purchasing your product. Before long, other savvy automobile manufacturers will be eagerly copying Nissan’s innovative advertising technique. Needless to say, if it works for automobiles, this singular advertising trend is sure to work for everything from artichokes to home appliances. Just picture Joe Consumer sleepily wandering through a neighborhood department store on a lazy Saturday afternoon. He’s already forgotten what he was looking for in the first place, so he’s using the old pinball approach to shopping, bouncing from wall to wall in the hope that he’ll eventually remember what he really, really, needed to purchase. the specter of meals unborn? 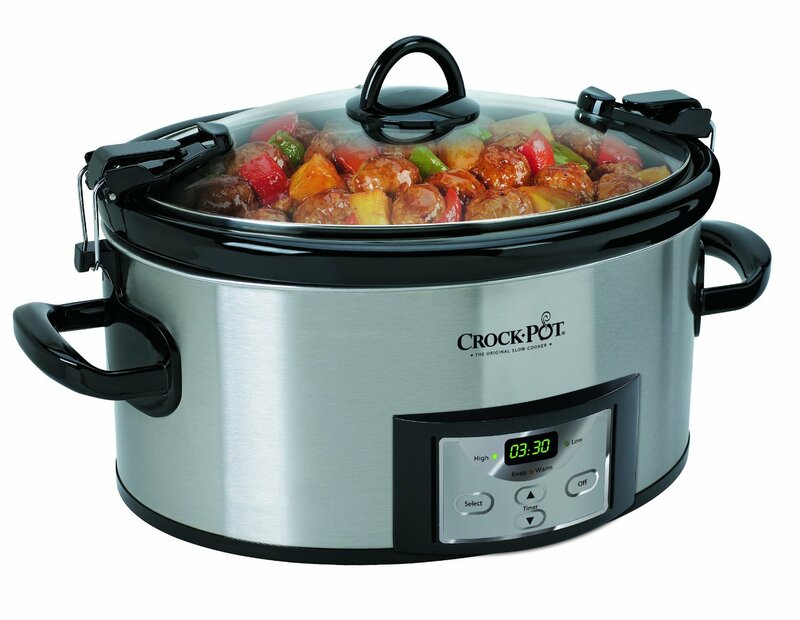 Lo, it is a Crock Pot! I shout to the heavens!